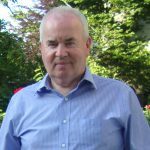 Everyone at PHD, and in the industry, has been deeply shocked and saddened by the sudden death of Frank Riordan, a ‘Quiet Man’ with a profound sense of his Family roots in the Kingdom of Kerry and a genuine love of the ‘Ol Sod’. Frank was highly respected in the industry, as testified by the large turnout at his funeral at St Joseph’s Catholic Church, Harrow & Wealdstone, on Monday 15th December 2014. Our heartfelt sympathies are extended to Frank’s Wife, Philomena, and their children Martin & Anne-Marie, his brother Jerry as well as all their Family in England & Ireland and their friends in the Hatch End community. Frank was a consummate Professional who enjoyed the camaraderie of the Construction Industry always ‘bringing mirth to the party’. “The world and our company is poorer for the pre-mature loss of Frank whose positive & fair attitude and jovial manner stood him apart from others.Frank showed love in his work, as I am sure he did in his Family life, and he will be sorely missed by all his friends and work colleagues at PHD”. 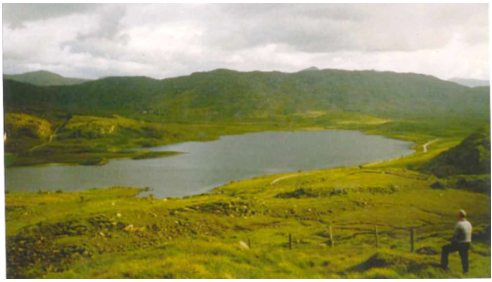 (Na Cruacha Dubha, meaning ‘the black stacks’) the highest peaks in Ireland. Brian Patten from ‘The Armada’. A thousand days or only one? One week or a few centuries? How long does a man spend living or dying? And what do we mean when we say: “Gone forever”? But they might be too busy with administrations. So, how long does a man live after all? The answer is so simple, after all. Another will hum his favourite tunes Another will still share his terrors. Then there will be a day when no question is asked And the knots of grief will loosen in the stomach And the puffed faces will calm. And on that day he will not have ceased But will have ceased to be separated by death.